These days, single-board computers such as the Raspberry Pi and Arduino are all the rage. These small and inexpensive devices are ideal for hobbyist and industrial application, but of course this is not a new idea. 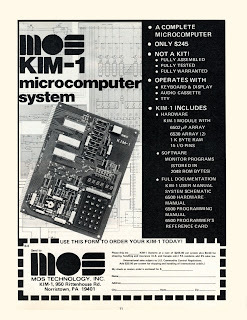 Forty years ago one of the most important single-board computers was launched: the MOS Technologies KIM-1. MOS Technologies had produced low-cost 6502 processor the previous year, but (as today) the problem was getting it into the hands of people who could actually DO something with it. 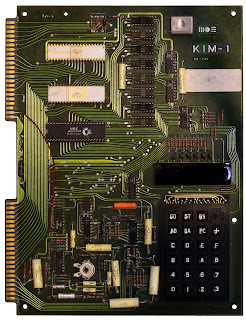 So, the KIM-1 was produced as a basic bare-boned system that people could adapt, at the relatively affordable price of $295 (equivalent to around $1050 today). It was a primitive device. The 8-bit 6502 CPU came with 1K of RAM, a small LED display, and a hexadecimal keypad. It had a couple of expansion ports and pair of serial interfaces, which meant that it could be paired with a teletype for output or a cassette recorder. Later independently-produced expansion modules included a video board. 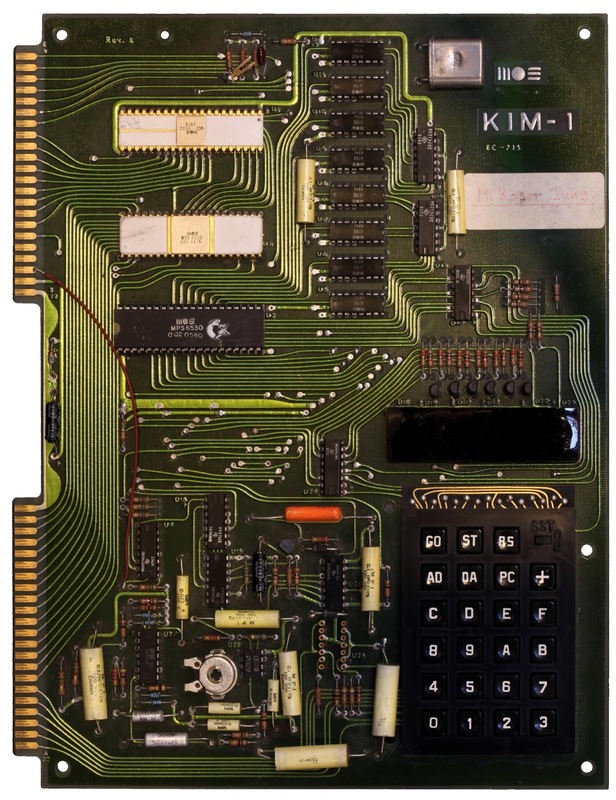 The design was adapted and expanded by other manufacturers too, and the KIM-1 and its derivatives became a significant success and helped to establish the 6502 as one of the key processors of the late 1970s and early 1980s. In the end, MOS Technologies ended up being bought up by Commodore, and the ideas behind the KIM-1 were expanded and eventually developed into the Commodore PET.